What is the first thing that comes to mind when you think of Greece? Greek salad, maybe ancient mythology heroes and finally or maybe Santorini? Well, allow me to alter your perception of Greece slightly. Food, culture and holidays are undeniably fantastic in Greece but it is also a nail polish paradise! Last year I randomly (read: while hunting for souvenirs) discovered Hondos Center and more precisely, their nail polish department that almost made me faint. The ENTIRE floor was dedicated to nail polish! Over 20 recent collections of ALL European brands in every colour and finish under one roof. After that remarkable day, my baggage was significantly heavier for my fiancee to carry (oops). I didn’t buy any well known polishes, instead I purchased a variety of local brands such as Seventeen, Tommy G, Radiant, Korres and MD Professionnel. Guys, you should see these colour ranges! Sadly I could not take any good photos & even was almost kicked out of the shop for sneaking an iPhone pic (risking everything for the love of nail polish!). I did try to explain why I wanted to take photos of their shop but the language barrier was insurmountable. Anyway, the GT Cosmetics nail polishes (Tommy G‘s sister brand) I present to you today were obtained on that extraordinary day. And you know what? 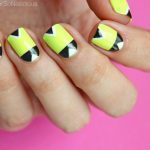 They are the best neon nail polishes I’ve tried so far and due to the nature of my job, I’ve tried a lot! Why am I rating these polishes so highly? Read the review below! Formula: Great density formula, fast drying. 3-free. Finish: Beautiful moderately glossy creme neon nail polish. Brush: great, easy to use, mid thickness brush. Wearability: Long lasting, the GT Cosmetics polishes can last up to 5 days chip free without top coat – here’s the evidence! Extra Notes: Made in Greece! 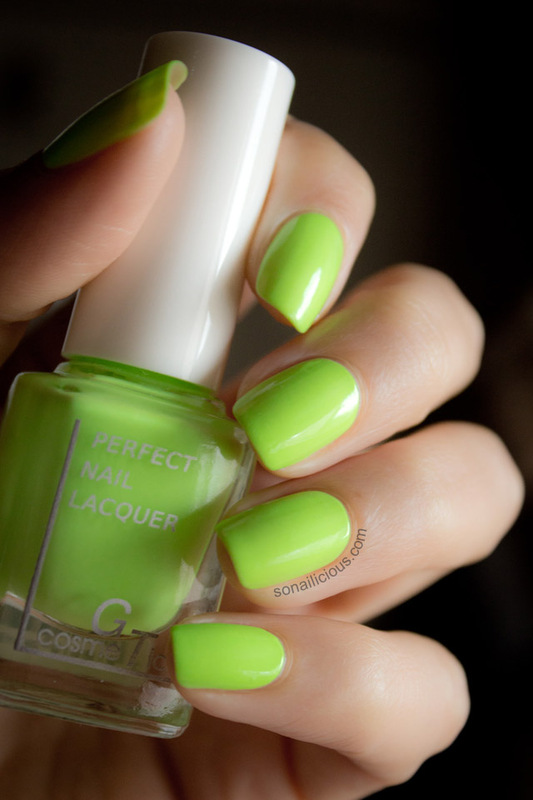 Pictured: pink neon nail polish – GT Cosmetics 459, green – GT Cosmetics 477 (from Summer 2013 collection). GT Cosmetics Polish Overall Impression: Stunning pastel neon nail polishes with a great formula and density that does not require a white base to produce a great neon effect. Easy to apply, easy to remove & 3-free. 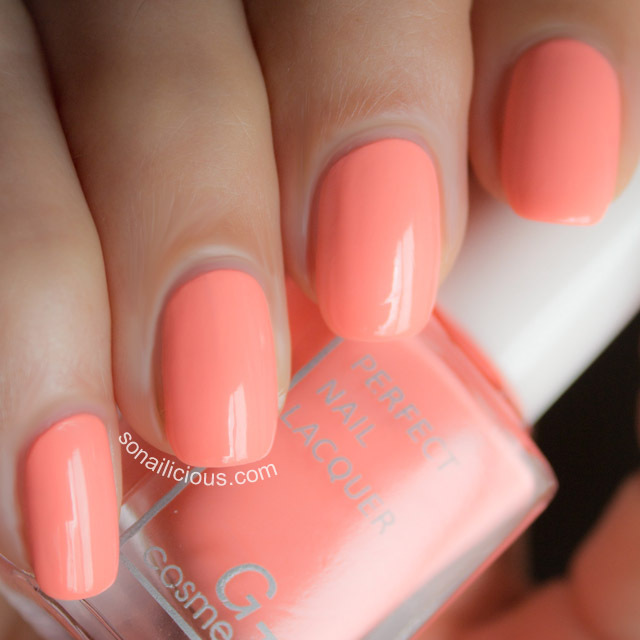 Pretty much the ideal nail polish. Personally, I could not find any fault with this brand. So if you’re in Greece anytime soon, give GT Cosmetics (also known as Tommy G) a try. Nail Polish available: not available online, retails in Hondos Center (Greece) – 6EURO. So, what do you think about these neon beauties? Have you tried Tommy G or GT Cosmetics nail polishes before?